How to read theHindu for IR/Diplomacy? 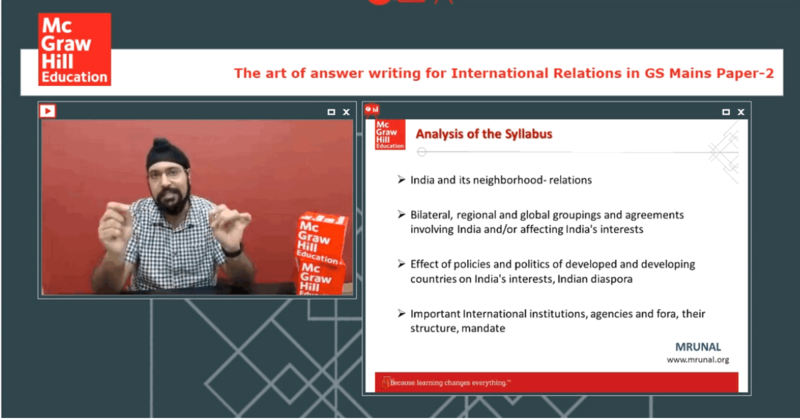 Dear students, in the previous part, I discussed the 3+1 format of the UPSC questions on IR/diplomacy, and a brief introduction to the subtopics of IR Syllabus. Now I will share with you the preparation sources for the same, and their relevance in the UPSC Mains exam. First and foremost, source for the International Relations remains the newspaper. There is no alternative to it. There is no substitute to it and many of the students who have interacted with me earlier also, they also know about the same thing that I’m very particular about the students following the newspaper. TheHindu newspaper I feel is a good newspaper. And considering the paucity of time that you have been doing your preparation. Reading 2 or 3 newspapers is good. Good! But not suggested! Because You have to prepare your optional other GS subjects also. So, ideally No. 1 stick to only 1 newspaper which is the Hindu newspaper. The information which will be there on the front page that information will be basic it will tell you ki only, okay , yesterday somebody came or we went somewhere and this event happened. So, that’s only a glimpse of an event it’s not analysis there. Here you have to look out for any article that has come by some expert probably a diplomat or somebody else on that particular country. You will find articles where they have done analysis of the events. It is very similar to the front page. It will give you an event, it will explain that event but there will be no analysis. On the editorial page yesterday there was a second article, the second editorial which came, which was basically on IndiaU.S. relationship. So, if you read that editorial you will realise that No.1 that editorial is all about analysis, that editorial talks about analytical survey of IndiaU.S. relationship. Now, if you proceed from there all the way to the say international page of yesterday. You will realize that in the International page yesterday 2 pieces of information were important. The 1st piece of information was with respect to Sri Lanka. A small article came where basically ChinaSri Lanka relationship was there in the news. You see China-Sri Lanka relationship was there in the news is important for you because India-Sri Lanka relationship is impacted by the Chinese presence in Sri Lanka and then there was a big article again that was again an informative article, information not analysis. Informative article on India-U.S. trade related issues which have been happening in the recent times. Lot of students ask me whether we should read Hindu or Indian express? I already said one newspaper is sufficient. Hindu newspaper is a standard newspaper that’s okay. Continue to follow that. Indian express … if you want to follow it, it’s your personal choice. I would still again suggest restrict yourself to Hindu. Please don’t forget the fact that UPSC is a left leaning exam and because it’s a left leaning exam, Hindu newspaper is a slightly tilted towards the leftist side. That newspaper actually suffices the requirement of UPSC. So, again please restrict No.1 to the newspaper. Question from Harshita Jain: Are the news on the editorial page is related to elections or issues in the other countries important? Ans. yes. So, there is another country which is in the news which is basically having an election and if that election if basically contested by political parties and the political parties are campaigning on something related to India. Then in that case, yes, you have to very carefully follow that. For example, elections in Pakistan- Hafiz Saeed- most wanted terrorist in India- is contesting elections through a political outfit that he has created called the Allah hu Akbar tariq. if this fellow Hafiz Saeed though he is not contesting but his other people who are contesting if they happen to win the election it is going to have a serious repercussion on the relationship between India and Pakistan. So, yes in that case you do have to follow. Question from Kumar Dixit: Will big picture of the Rajya Sabha TV be helpful? Ans. Relevance of Lok Sabha TV, Rajya Sabha TV -I believe personally is higher for the mains. Because in the mains you know you are packed with the time. So, you really don’t have time for all this. Big picture is a program where 4-5 panelists who are basically discussing a topic. It’s very helpful but please remember the relevance of big picture is after you give the mains before your interview. You have to watch it after your mains exam for you interview. Because in your interview the situation is going to be reverse. You are going to be in front of 4-5 people interviewing you. So, if you know the knowledge of these 4-5 topmost people who are there and you are able to know evolve your answer in the interview through the knowledge that you have gained by listening these Rajya Sabha TV Shows. Question from Pranjal Kumar: should I prepare the website of the IDSA and ORF and all these things? Ans. Sir, please remember IDSA and ORF websites are really but the problem again is the same that they are basically research papers. In the general studies you don’t have to do a research. Remember it’s general studies. The word general means that you have a generalist idea not a researcher idea. So try to refrain because there is so much of information that you cannot process and even if you read those articles they are very good articles. I’m agreeing to that but you know you will not be able to understand what do I write in 150 words from there. So, again the idea is read the country which is there in the news first from the book so that you know the background follow the current from the newspaper that should suffice your job. Question from Akhilesh Kumar: What to read from the MEA website? Ans. You know my personal suggestion is nothing to read from the MEA website because the MEA website basically gives you information related to MoUs that have been signed between our agreements that have been signed between India and whatever head of the state we visited or somebody visited us. All that information actually comes in the newspaper and it comes in the newspaper with analysis on the editorial page. So, I would suggest you restrict to that. So, please remember you know don’t overload yourself by unnecessarily going to websites and bogus blogs and all those things on the internet. They are only there to overload you with information and you eventually will neither be able to understand what I will gain. If you read the MEA website. See! It’s good to read, it’s not bad to read but even if you follow it regularly make a list of all those MoUs how do you use them in the exam. It is better that you follow the newspaper understand that if a particular MoU was signed in the editorial page they will do some analysis of that focus on that. So, refrain from all the websites which are there they are not basically helpful. Question from Sakshi Agarwal: What is the role of your book on international relations, when we are already preparing from the newspaper? Ans. This book basically gives you all the background which is not there in the newspaper. So, like in the newspaper it mentions that US unilaterally withdrew from Iranian nuclear deal and therefore US-Iran relationship is in a danger. Now, you know you are not aware about the Iranian nuclear deal. You are a new aspirant and you started preparing just one month back, You don’t know what the Iranian nuclear deal is! My book gives you that Iranian nuclear deal in 2 pages. In 2 pages the book gives you nuclear Iranian deal if you read it from there you will be able to understand entire thing and you will be able to understand why US withdrew. Instead, of you know not reading from the book other alternative would be that you would go on the internet and do a research for 4-5 hours, 6 hours waste your time there. So, book basically save your time in that research. Question from Om Prakash: How do we utilize the diagrams given in your book? Ans. You know please remember one thing Om Prakash that I would like to tell through you and to all other people that diagrams are very crucial. When you write an answer if you summarize a particular thing in a diagram you are not able to save words but your answer basically becomes more innovative. So, examiner gets bored reading the same answer then and there all the time so if suddenly comes across an answer scribbled there is a diagram where you have written 5 core points it really works. Because examiner will specifically be happy and he will give you one extra mark than your competitor. In my book, I have given more than 700 diagrams. So, through that my idea is to tell you that for every particular topic how can you summaries the issue if you are short of words in a diagram. So, yes diagrams do play a very important role. Question from Chandu: Does your book contain anything related to the United Nations? Ans. Yes! There is an entire section in my book devoted to the United Nations where the first chapter basically talks about India’s relationship with the UN. It talks about what India’s-UN relationship is and that questions that is there. That is why India wants to become a permanent member of the security council. What are the challenge. Everything is given there. A very advanced thing which I have given in the book is basically about India’s R2P diplomacy. R2P responsibility to protect it’s a very advanced and UPSC has not asked a question till date on R2P. On R2P there is a higher possibility that it can come at any time. So, yes it does have a specific chapter for the UN also. Pavneet Singh graduated with Honors in Political Science from Delhi University. He then followed it with an MBA from IMI, Belgium. Following the completion of his formal education, Pavneet sought to make a mark for himself in the field of the teaching for the UPSC Civil Services exam. He has taught various subjects, including Political Science and Current Affairs for almost a decade now. 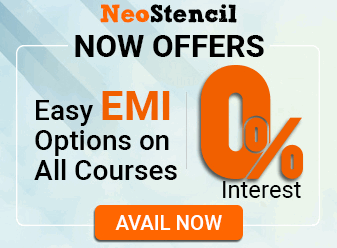 It is this expertise, earned through years of voracious reading and enriched through interactions with thousands of aspirants, that he brings to this textbook. Since 2013, he has been associated with Vajiram & Ravi, India’s premier institute for the civil services exam, at New Delhi. His area of expertise here has been International Relations. Pavneet Singh has written a book titled ‘International Relation’. 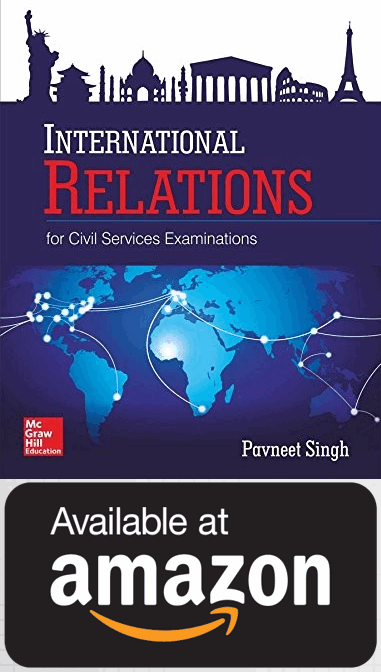 International Relations for Civil Services Examinations is an allencompassing manual on world politics, foreign policy and international relations that is a must-read for all UPSC candidates. The Book is available at Amazon in both paperback and Kindle format. Sir where is the next part; the art of answer writing for IR/diplomacy.